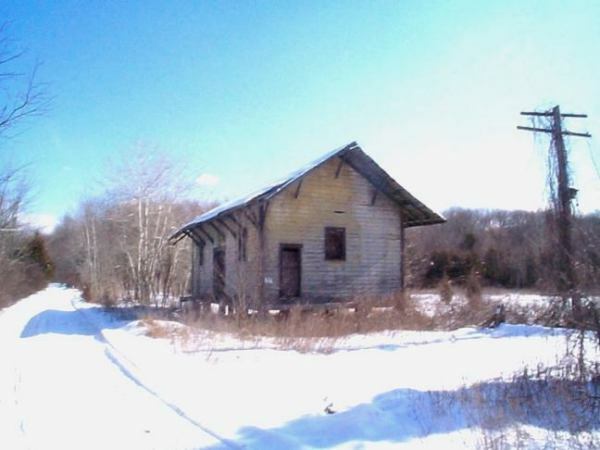 The New Jersey Midland Railroad Historical Society is working with the Allamuchy Township Environmental Committee to stabilize and restore the former Lehigh & Hudson River Railway freight house. 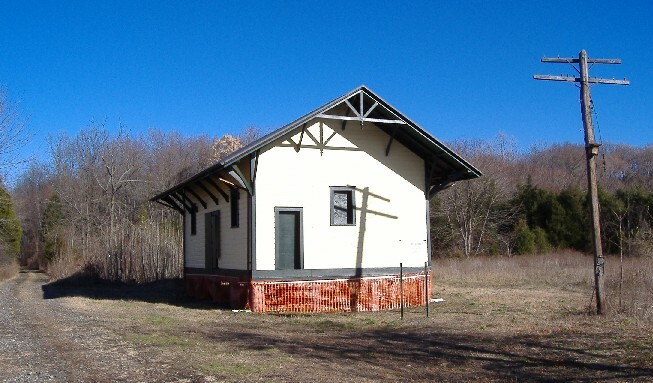 While there are several passenger stations still in existence along the route of the L&HR, this is the only freight house still in existence. 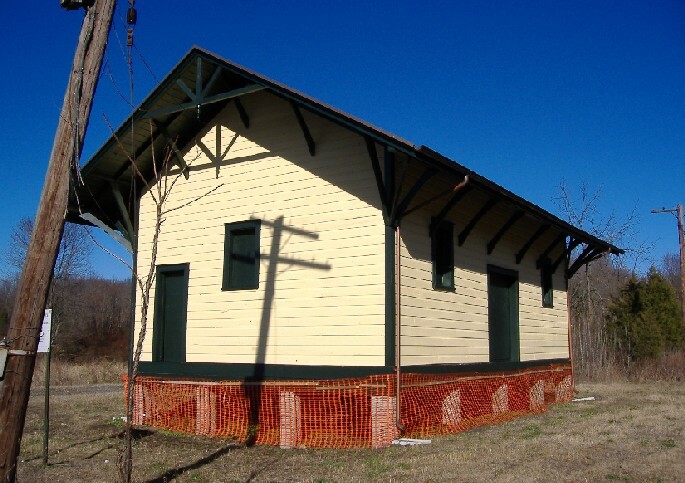 The Lehigh & Hudson River Railway was opened to traffic through Allamuchy in 1882. 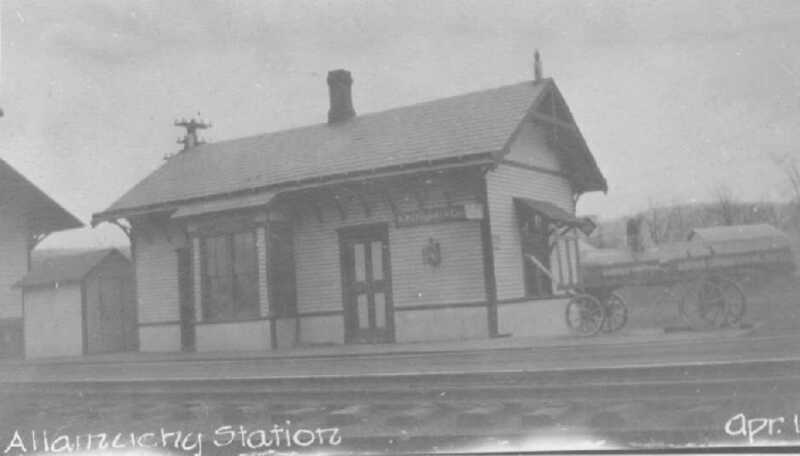 The passenger station was built in 1885. The Lehigh & Hudson River's Annual Report for 1906 states that "a new freight station was built at Allamuchy, NJ to care for the additional business being transacted at that point. 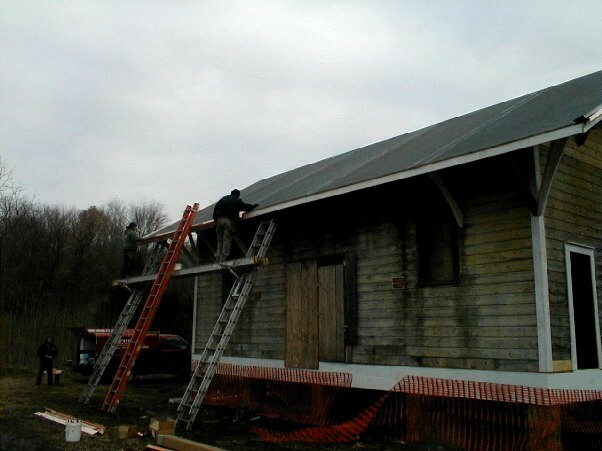 This is the only record of construction we can find so we believe that the freight house was built in 1906. 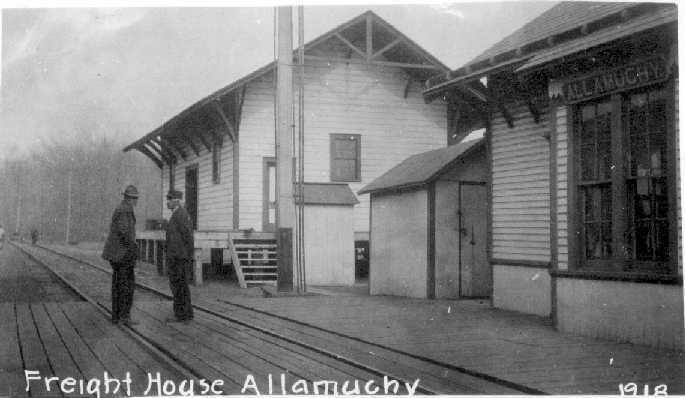 Passenger service on this portion of the line ended on October 31, 1933 and the passenger station was removed in 1934, leaving the freight house as the primary railroad structure to provide service to Allamuchy. Perhaps the most notable moment for the Freight House came when President Franklin D. Roosevelt's private train stopped here in 1944 while the President "visited" with Lucy Rutherford. 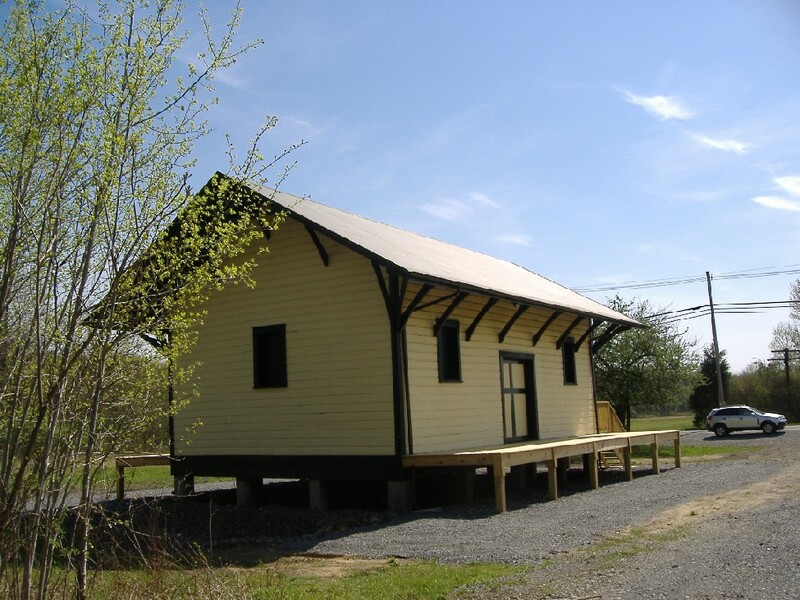 The Lehigh & Hudson River freight house is an Official Project of Save America's Treasures, a public-private partnership between the White House Millennium Council and the Nationl Trust for Historic Preservation dedicated to the preservation of our nation's irreplaceable historic and cultural treasures for future generations. 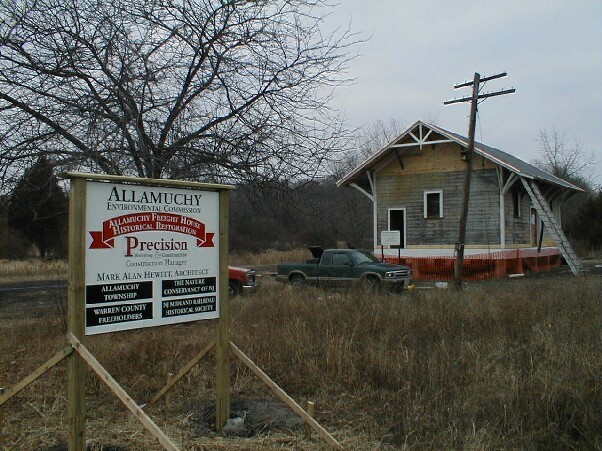 The L&HR Allamuchy Freight House is now listed on the National Historic Register. 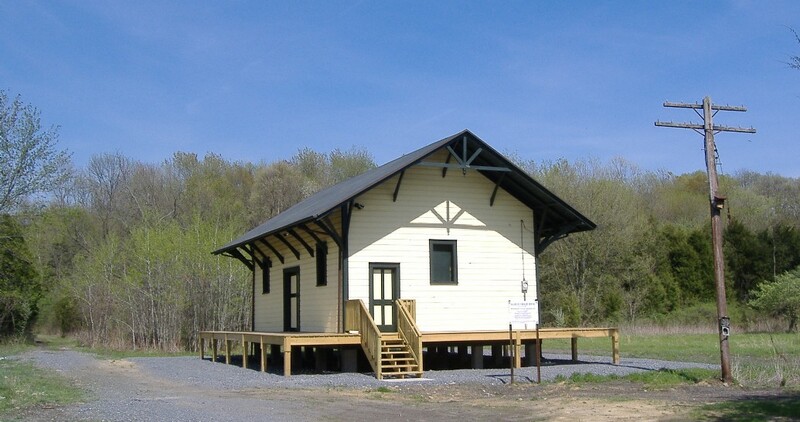 We are in the process of reviewing freight records for this station from several sources including the Railroad Museum of Pennsylvania. It is our hope to be able to document the types of goods shipped to and from this freight house over the life of the L&HR Railway. 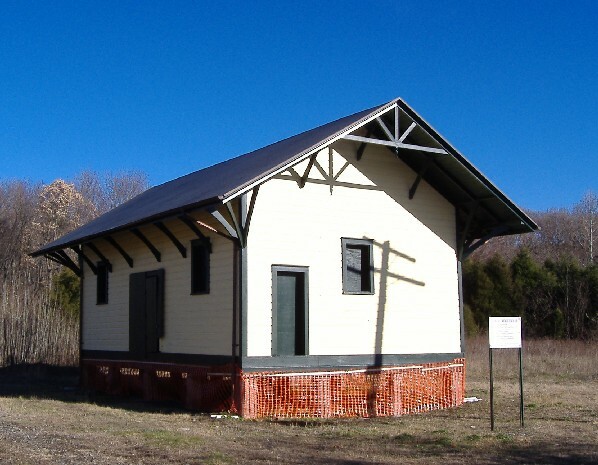 We envision providing outdoor display panels to explain the overall history of the L&HR Railway and what activity actually took place at this freight house. Your support of this project is requested. Approximately 85% of the needed funding is in place. We request your donations of materials, money and artifacts. All donations are tax-deductable. Please contact the Society for further information how you can assist in the preservation of this unique piece of Allamuchy and Warren County History.